Enjoy live music and entertainment at the 6th Annual Island Reggae Festival presented by Rudebwoy Entertainment held at the Santa Clara County Fairgrounds, 344 Tully Road in San Jose, CA. The event includes activities on three stages with live music from around the world, and an Island Dance Showcase. The event also features carnival rides for children, the USO Car Club Showcase, a Youth Rugby 7’s tournament, an Island Tattoo Showcase and a free Diabetes Awareness clinic. The gates open at 11am and the event concludes at 11pm. 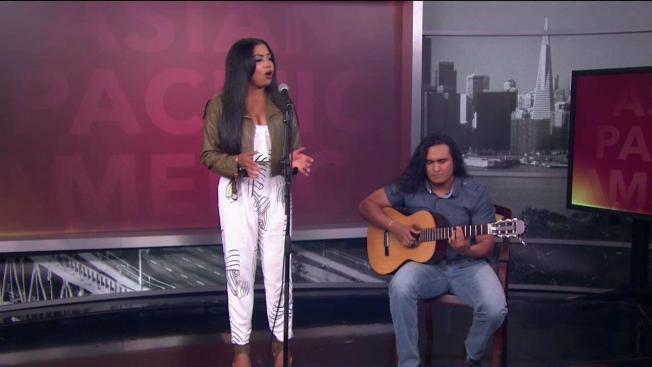 Pacific Islanders maintain a strong cultural connection through music. Some of the well-loved artists in the genre today will perform at the event including UB40, Fiji, Three Plus, Tenelle, Maoli, Eli-Mac, Sammielz ext. Artists on the lineup feature some of the Pacific Islands’ greatest talents. In 2017 the lineup includes the United Kingdom’s UB40 featuring Ali, Astro and Mickey whose song “Red Red Wine” has been a worldwide pop hit over the past 3 decades. UB40 will perform the closing set at Island Reggae Festival 2017. Returning to the Island Reggae Fest 2017 stage is the legendary Fiji whose stage name reflects his cultural background and whose golden voice has made him a pioneer of the Pacific Island sound as its most well-known artist who has paved the way for the careers of many others whom he has personally mentored throughout the years. Female vocalist of Samoan heritage, Tenelle returns to the festival in 2017 with sweet vocals influenced by R&B and reggae reflecting this Carson, California born singer’s background. Her latest album FOR THE LOVERS released March 10th of this year has maintained a top position on the iTunes Reggae chart and includes duets with Fiji and Chazrox. Making their return to the mainland for the first time in several years is Hawaii’s Three Plus, the Island Reggae Fest 2017 family is in for a special treat with their appearance on this year’s lineup. Carnival rides and games are available for ages 13 and under. Also, the event will feature over thirty merchandise and food vendors with Polynesian food and festival food favorites. Returning in 2017 is the Youth Rugby 7’s Tournament open to ages 8 to 14. The USO Car Club Showcase led by CEO Kita Leao will spotlight the Samoan culture, lifestyle and interests of Polynesians in the United States. The Island Dance Showcase will present dance groups and styles from various islands in the South Pacific including Samoa, Tonga, Hawaii, Tahiti, Fiji and New Zealand. The Tattoo Showcase will feature some of the most popular Polynesian Tattoo artists who will be tattooing live at the festival and giving tutorials on traditional Polynesian tattoo patterns and what their symbols and origins derive from. “This festival is a platform we created to celebrate our Pacific Islander culture through music and dance. We are also bringing awareness as to the diabetes epidemic our people face."